See what to expect in the world of mobile, cross-browser, and DevOps in 2018 with these trends, like AI-driven testing and augmented test automation. As we are about to wrap up 2017, it's the right time to get ready for what's expected next year in the mobile, cross-browser testing, and DevOps landscape. If in 2017, we've seen the tremendous adoption of more agile methods, ATDD, BDD and organizations leaving legacy tools behind in favor of faster and more reliable and agile-ready testing tools, such that can fit the entire continuous testing efforts whether they're done by Dev, BA, Test or Ops. Shifting as many tests left and right is not a new trend, requirement or buzz - nothing change in my mind around the importance of this practice - the more you can automate and cover earlier, the easier it will be for the entire team to overcome issues, regressions and unexpected events that occur in the project life cycle. While many vendors are seeking for tools that can optimize their test automation suite, and shorten their overall execution time on the "right" platforms, the 2 terms of AI and ML (or deep learning) are still unclear to many tool vendors, and are being used in varying perspectives that not always mean AI or ML. The end goal of such solutions is very clear, and the problem it aims to solve is real -> long testing cycles on plenty of mobile devices, desktop browsers, IoT devices and more, generates a lot of data to analyze and as a result, it slows down the DevOps engine. Efficient mechanism and tools that can crawl through the entire test code, understand which tests are the most valuable ones, and which platforms are the most critical to test on due to either customer usage or history of issues etc. can clearly address such pain. Another angle or goal of such tools is to continuously provide a more reliable and faster test code generation. Coding takes time, requires skills, and varies across platforms. Having a "working" ML/AI tool that can scan through the app under test and generate robust page object model, and functional test code that runs on all platforms, as well as "responds" to changes in the UI, can really speed up TTM for many organization and focus the teams on the important SDLC activities in opposed to forcing Dev and Test to spend precious time on test code maintenance. In 2017, Google, Apple, Amazon and other technology giants announced few innovations around digital engagements. To name a few, better digital payments, better digital TV, AR and VR development API and new secure authentication through Face ID. IOT this year, hasn't shown a huge leap forward, however, what I did notice, was that for specific verticals like Healthcare, and Retail, IOT started serving a key role in their digital user engagements and digital strategy. Some insights on testing IoT specifically in the healthcare vertical were recently presented by my colleague Amir Rozenberg - recommend to review the slides. Do not immediately change whatever you do today, but validate whether what you have right now is future ready and can sustain what's coming in the near future as mentioned above. 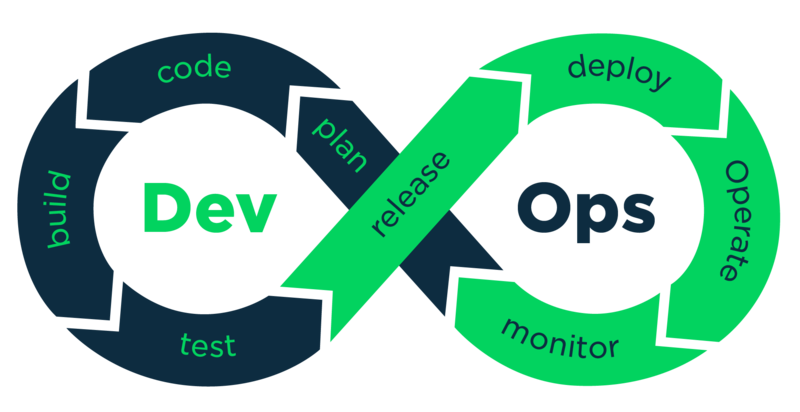 If DevOps is already in practice in your organization, fine - make sure you can scale DevOps, shorten release time, increase test and platform automation coverage, and optimize through smarter techniques your overall pipeline. Happy 2018 to my followers.